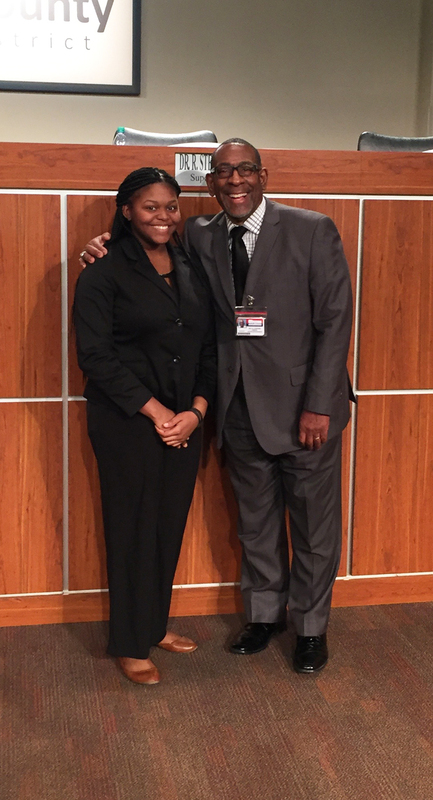 Nyisha Jones, a junior at Stone Mountain High School, represented the students of the DeKalb County School District at the Feb. 13 meeting of the DeKalb County Board of Education. Nyisha holds a 4.095 GPA and plans to attend Howard University to major in communications in film and television. Her career goal is to become a film director. Nyisha is the editor of the Stone Mountain High yearbook, serves as a teacher assistant, and is a participant in the college prep program Upward Bound. 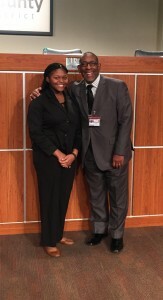 She is also part of our very own DeKalb teen talk show, “The Bridge,” on PDS-TV 24.